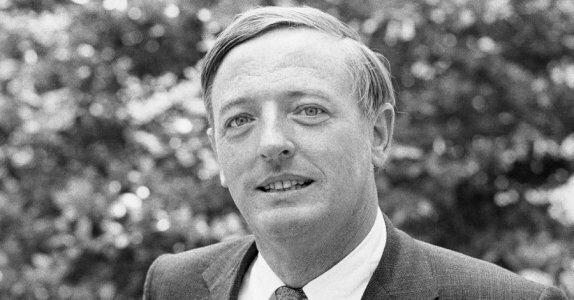 One man—William F. Buckley Jr.—and his new magazine National Review were successful in creating a mass conservative movement in the years after 1955. We learn the reasons for their success in this excerpt from Chapter 5 (“The Birth of a Movement”) of America’s Right Turn: How Conservatives Used New and Alternative Media to Take Power, by Richard A. Viguerie and David Franke. We look at what made National Review different from previous conservative and libertarian publications. In ideology, it brought together anti-communists, advocates of free-market economics, and traditionalist conservatives. And it was willing to get involved in activist politics rather than just preach from an ivy tower. The result was the creation of a movement that would take the liberal world by surprise with a mass rally at Madison Square Garden in 1962. The conservative movement had arrived! If you ask 10 conservatives today to name their favorite journalist, their favorite author, their favorite intellectual, and their favorite TV talk show combatant, you’d probably get close to 10 different answers in each category – there are so many to choose from. If you had asked the same questions of conservatives in the era from 1955 to 1960, one name would have dominated all those categories – William F. Buckley Jr. Given the multitude of prominent conservative spokesmen available today, it is sometimes difficult to explain to younger conservatives the impact of “WFB Jr.” and his magazine, National Review, way back then. For those of us who experienced the late ’50s and early ’60s as the formative period of our youth, there are two explanations for WFB Jr.’s dominance. First, there’s the marketing explanation. In their epochal best-seller, The 22 Immutable Laws of Marketing, Al Ries and Jack Trout present as the #1 marketing law: “The Law of Leadership: It’s better to be first than it is to be better.” They give many examples, one of the most famous being the marketing contest between Coke and Pepsi. Blind taste test after taste test shows Pepsi winning out over Coke, yet Coke is the giant among giants in sales. Why? It was there first. The same principle applies to the political market. Second, while “it’s better to be first than it is to be better,” if you can be first and better than your opposition you’ve got a grand slam. Bill Buckley did just that. The key to the Buckley phenomenon of this period is that he was, first and foremost, a debater. The nascent movement had more profound intellectuals, but no one could verbally best the young Bill Buckley on the debate podium or printed page. He took no prisoners, and that sort of aggressive stance was exactly what was needed to jump-start a new movement. Conservative kids were sick of being humiliated and branded as yahoos by their liberal professors. Older conservatives were just as sick of being marginalized in politics by the pundits of TV and the “respectable” print journals. In Bill Buckley they found someone who not only could make mincemeat of liberal totems like Arthur Schlesinger Jr., and who could do it with a theatrical flair and quick response not seen in political forums until our modern era of The McLaughlin Group, Crossfire, and other television talk shows. Also, Buckley controlled all of the voting stock. While National Review couldn’t avoid the factional fighting that rocked The Freeman, by giving Buckley undivided control, National Review – unlike The Freeman – was able to survive the infighting. Another way in which National Review was different from The Freeman was in the overall emphasis of its contributors. The Freeman had an ideologically wide range of contributors, but their general thrust was undeniably libertarian. National Review had articles from libertarians, including Frank Chodorov, Karl Hess, and Murray Rothbard, but they were libertarian adornments. The power was with editors and contributors, many of them former communists and socialists, whose thrust was anti-communism with an interventionist bent. Whittaker Chambers and Frank Meyer formerly were communists of the orthodox sort; James Burnham and Willmoore Kendall were former Trotskyites. National Review sought to combine elements of traditional conservatism, libertarian market economics, and anti-communism, but anti-communism was dominant among these three thrusts. No matter where you personally stand on the ideological panorama, an objective look at the political landscape of the era shows why this change in emphasis was crucial to the molding of the conservative movement in several ways. First, anti-communism was the “glue” that held together the broadest array of prospective members of a new movement. In putting together our “recipe” for creating a new mass movement in Chapter 3, we gave priority to “issues that motivate” – and the communist threat was the foremost motivating issue of this era. The communist issue – more precisely, how to fight the threat of communism – divided and demoralized the libertarians, but it was the glue bringing conservatives together into a movement. Second, most intellectuals and writers who were communists or socialists in their youth were activist intellectuals and writers, and that predisposition remained strong even after they changed sides. At National Review one editor, above all others, had the ear of owner/editor Buckley. He was James Burnham, formerly one of the world’s leading Trotskyites and author of such seminal books as The Struggle for the World, The Managerial Revolution, and The Machiavellians. Intellectually he was in the league of George Orwell and Sidney Hook, and he was the commanding presence at National Review editorial meetings, enjoying the full confidence – if not always the agreement – of Buckley. With Buckley as captain and Burnham at the intellectual helm, National Review saw itself, and acted, as the house organ of a movement to take over the nation and defeat communism. This communist/socialist strategic and tactical mindset – encompassing the whole world, not just the nation, though now utilized for a different ideology, of course – also explains the emphasis on keeping the movement on the straight path to power, expelling “right” or “left” deviationists who were seen as obstacles to taking power. In the context of the new conservative movement, Objectivists – followers of the anti-religious Ayn Rand – were “left” deviationists, and in its early years National Review turned all its big guns on the Randians with a fury usually reserved for liberal targets. A couple of years later, it was the “right” deviationists of the John Birch Society who were accused of overly conspiratorial thinking and expelled from the movement by National Review. The purpose of these purges was to keep the new movement on the path to power, without giving liberals handy targets for scaring the American people about a threat from the Right. They also served to keep the National Review type of anti-communist conservatives in firm control of the growing movement. We said at the end of Chapter 4 that National Review gave conservatives “a center of gravity, some focal point, that addressed them as members of a movement and taught them, in Lenin’s words, what must be done.” This didn’t happen all at once. When reviewing the first few years of National Review, we find very little emphasis on activism – the thrust was on getting the message straight. Having made some progress in that direction, National Review began to turn more and more attention to the movement as the 1960s approached. A short while later, activist stirrings took place on the Right that did earn the approval of National Review and became part of the “respectable” conservative movement. The 1960s were still a few years away when collegiate right-wingers offered a preview of the student activism to come. The first young conservative activist foray was the National Student Committee for the Loyalty Oath, formed by Douglas Caddy and your coauthor David Franke in 1958. Spreading the word of their committee through the pages of Human Events, National Review, and The Individualist (the publication of the Intercollegiate Society of Individualists), they compiled the names of hundreds of sympathetic college students on three-by-five index cards and successfully pressured Congress to keep the loyalty oath requirement for recipients of National Defense Education Act loans. Their surprising success in uncovering conservative students soon led to the formation of Youth for Goldwater for Vice President, under the leadership of Robert Croll. This was in 1960, and the students were a major part of the demonstrations for Barry Goldwater at the GOP convention in Chicago. Growing ever larger and stronger, the young activists then founded Young Americans for Freedom (YAF) in September 1960 at the Buckley family estate in Sharon, Connecticut. YAF would be the major conservative youth organization not affiliated with the Republican Party, and it would be active throughout the Sixties and Seventies. An overflow YAF rally of more than 18,000 conservatives at Madison Square Garden in New York City, in March 1962, took the liberals completely by surprise. All this young conservative activity – much of it smack in the heart of Rockefeller country – had taken place below their radar, and now they could ignore it no more. Even the New York Times gave it play “above the fold” – at the top of the front page. Indeed, if you’re looking for a birth date when the conservative movement emerged out of the womb and announced itself to the public, no other event would qualify better than YAF’s Madison Square Garden rally.